Probiotics are often touted as essential for a healthy gut, but did you know that many commercial products are filled with “dead” cultures that won’t survive in your intestine if they even make it that far? Symprove does things differently. 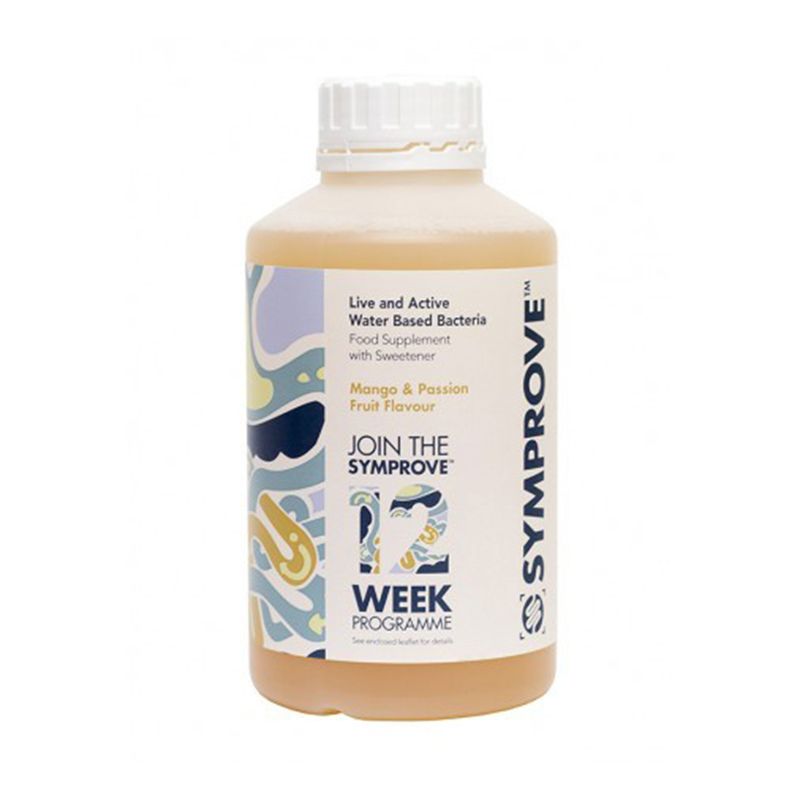 Symprove is a water-based multi-strain probiotic supplement containing 4 unique strains of live activated bacteria: L. rhamnosus, E. faecium, L. acidophilus, and L. plantarum. Normally, a healthy gut already contains cultures of each of these, but a deficiency or imbalance can leave you bloated, nauseous and in pain. Symprove consistently delivers high numbers of viable, healthy bacteria to your gut, and unlike other probiotics, won’t just leave a bad taste in your mouth. While most probiotics are available as tablets or capsules or in dairy, Symprove is water-based. Unlike tablets which rely on freeze-dried cultures that often fail to reactivate, and dairy drinks and yoghurts which trigger digestion that kills valuable bacteria before it can act, Symprove’s water-based barley formulation means that it is able to bypass the obstacles faced by other probiotic supplements, delivering a full payload of bacterial cultures directly to the lower intestine. As part of a recent University College London study by Dr. Simon Gaisford, Symprove was among eight probiotics tested on three criteria: the number of live bacteria contained; whether the bacteria could survive in the gut; and, if they survived, their ability to successfully reproduce. Of the eight products, only two passed more than one test, and Symprove was the only to pass all three, establishing it as the premier probiotic on the market. Symprove has also shown remarkable results in a recent randomised, double-blind, placebo-controlled study in patients with irritable bowel syndrome (IBS). At King’s College Hospital in London, 186 patients diagnosed with moderate to severe IBS, whose symptoms had not responded to standard treatment, received a daily dosage of Symprove or an identical placebo for 3 months. Those patients that were given Symprove reported significant improvements across all symptoms and all sub-types of IBS as compared to the placebo group, with pain reduction being particularly effective. Given that intestinal and stomach pain are some of the most debilitating of IBS symptoms, Symprove offers an promising opportunity for sufferers to increase their quality of life. Ingredients: water, extract of germinated barley, live activated cultures of: L. rhamnosus, E. faecium, L. plantarum, L. acidophilus; vitamin C, acidity regulator; trisodium citrate; preservative: potassium sorbet; natural flavourings, sweetener: sucrolose.